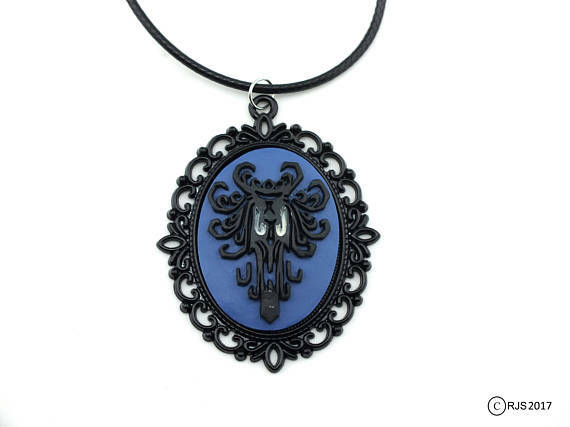 If you love Disney's Haunted Mansion like I do, you'll love these handmade treasures that we found over on Etsy. 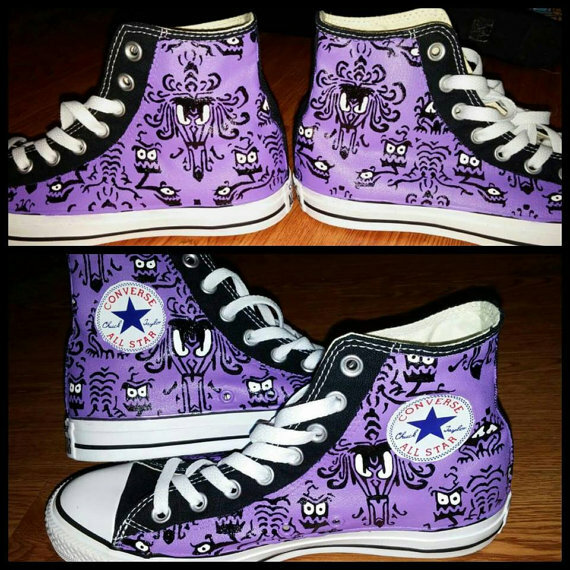 Check out the hand painted Converse sneakers above inspired by the wall paper in the Haunted Mansion. Love them. 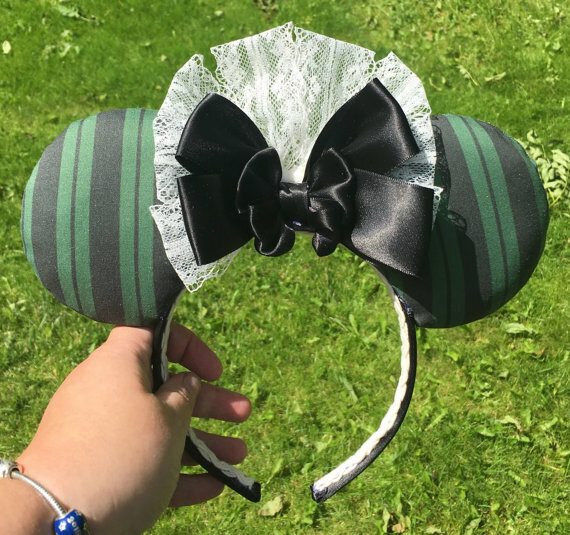 Or these mouse ears inspired by the maids that let you into the mansion. 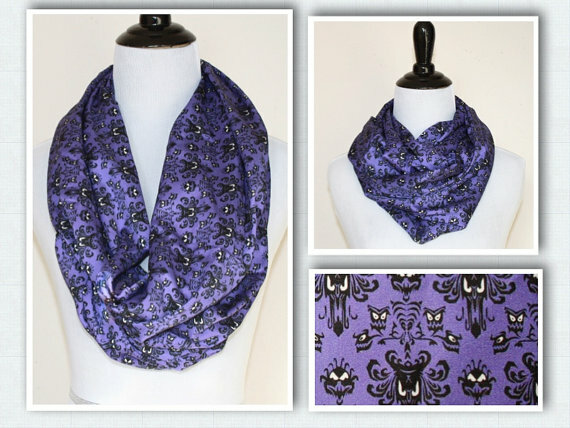 Here's a wall paper infinity scarf. We'll get you ready for Halloween.